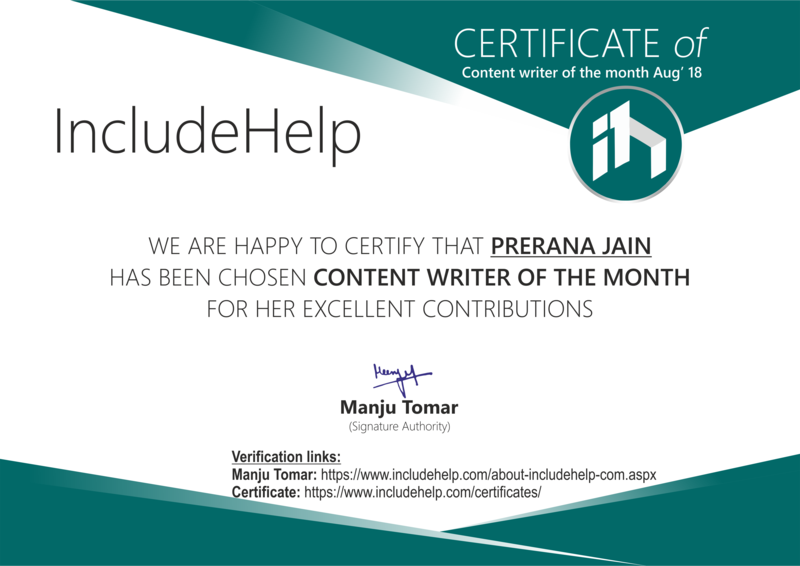 We are feeling glad to announce that Prerana Jain is the Content Writer Of The Month (August 2018) on the basis of her excellent contribution and her support to us. This is my second time that I have been selected as the Content writer of the month. I am feeling overwhelmed and respected about being a part of this family. 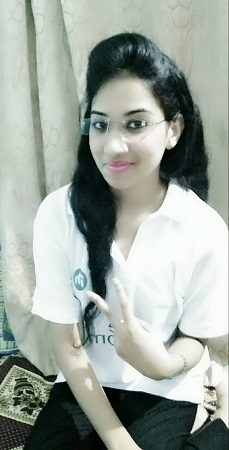 I have been associated with Includehelp since past 4 months and my experience was great. For me, Includehelp is the best website that I have ever seen because the concepts are well explained and the best thing is that this website has a lot of technical stuff like core subjects of computer science, programming languages, puzzles, quiz, and many more. I will love to refer this website as much as possible. At the end a special thanks to the admin of the website for giving me this opportunity and a platform to showcase my knowledge and skills.